TrendFirst offers very high visibility advertisment options for companies that are in search of high-end wealthy clients in search of luxury goods, such as fine antiques, contemporary art and luxury estates. 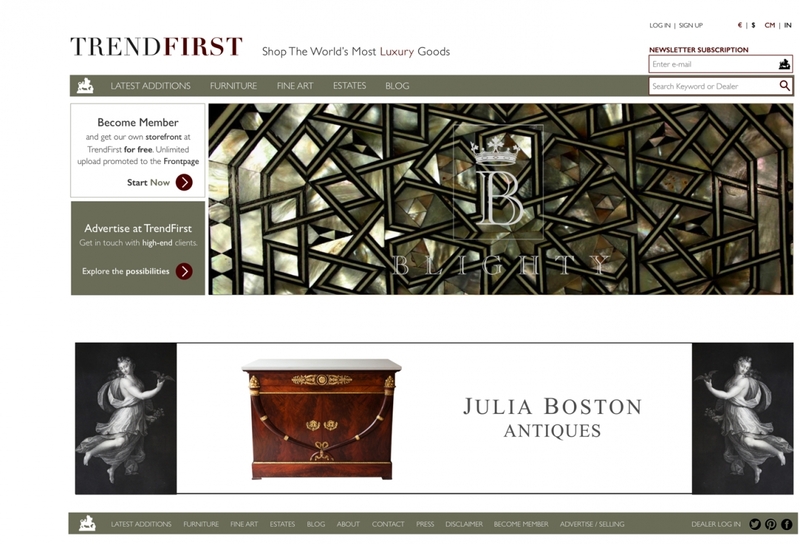 If you are an interior designer, interior decor magazine, fine antiques dealer, auction house, luxury fabric maker, estate agent, architect, or trendy home decor retailer, then TrendFirst is the place to advertise. With thousands of pages viewed per day, you can gain great exposure and optimize traffic to your website. We can offer the advertisment spot shown below for very reasonable and incredibly competitive prices.